prayer. Curiously, I received a vision about his immediate predecessor in office, President Goodluck Jonathan, the previous night. In the vision, the president was invited as a special guest by a party member governor in the South-West, who after welcoming him with a brief tete-a-tete, went into his inner-room, abandoning the August visitor. Later, a top chieftain of the party in the South-West joined the president, wearing a flowing robe and chatting animatedly with the Nigerian leader. He left to return with a street tough-boy outfit and not smiling while negotiating some deal with the visitor. The response he was getting from the president seemed not sitting well with him and his visage was blistering as he left the president. Then everybody around the celebration arena simply ignored the leader. After a while of sitting all by himself, he got up very agitated. I quickly called on a couple of aides to the governor to please inform him of the inhospitable reception the Nigerian leader was receiving at the gathering, but was simply told the governor could not be got to step out again. Suddenly, with all agility he could muster, President Buhari stormed off. I sizzled up to him, pleading with him to name his request, which I was very much ready to oblige him. Without turning back to address me specifically, the agitated prancing president burst out; “I’m bored, I just want to be free, I’m bored, I just want to be free” and watching him in disbelief, the Holy Spirit woke me up. At our family prayer altar, we “agreed” with the president. This celestial conviction is my assurance that nothing is cast in iron about the president seeking a second term. Without doubt, his real intent is what the Holy Spirit has revealed and if he would trust God, no cavalier cabal would triumph the chivalry of a “No.” I personally see the second term debate as unnecessary. 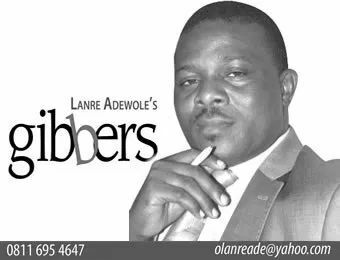 Both the wailers and hailers, I see as meddlesome interlopers. 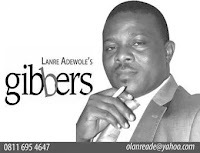 Were it to be contentious as was in Goodluck Jonathan’s case of 2015, having been sworn into the office of president twice, then the negative energies being dissipated on a needless debate which has now moved from borderless arena like the social media to sacred corners of bedrooms and bathrooms, would be deemed rewarding in the areas of deepening jurisprudence and strengthening layman’s grasp of the law. But the issue here is simply polar, and only one person has a choice to make. After his historic loss and being pilloried in pity for listening to the provincial cabal around him to seek re-election when the prevalent mood in the nation wasn’t supportive, I held firm then that the choice to run, was basically Jonathan’s, just as I believed that the decision to historically concede was primarily his. If Buhari eventually ran for re-election next year, it won’t be because of the “pressure” of the filial cabal in the Villa, those intending to use him as “pass” ticket in realising their ambition as Nasir el-Rufai confessed was the case with many of the current APC office-occupiers, contractors hitting the hilt big in his government or the plenty prayer hawkers milling the power backyard. It will be because Muhammadu (no one seems to know the president’s middle name) Buhari chose to, and the consequences are also expected to be solely his call. By now, everything points to another round of Sai Baba across the country. The president is right to run, even against the real intent of his inner man, and no election syllabus says he must win. For someone who could conveniently claim the ilu nfe mi loye (the popular choice) title less than three years back, to have the nation slashed in the median over his second term ambition, is a textbook definition of mismanaged goodwill. It is great to have a loyal base as he can claim to, but the reality of the uselessness of 12 million votes was too pointed in 2011. Just about three million votes proved “small is beautiful” in 2015 and it is that small-but-winning numbers that are now not mortified and must be mollified for the president not to suffer a heartache in February, the month of love. The “small winning” votes came mainly from the South-West, Christians in the North-Central states and minority Christians in core Northern states who hitherto held a negative view of Candidate Buhari. Perception more than performance is a key index in winning elections almost everywhere, and the current dominant perception of the president with the “small is beautiful” voters, is that he is for everyone but them. Now, everybody is talking negotiation, even if the president is going to seek the small winning numbers in the South-East as being currently projected by his way-farers. The unfurling scenario can only produce two results; another round of unkept political promises or an unkempt presidency, belonging to too many interests whose struggle for bigger scoop from the broth, would get the floor splattered all over with what should be for all. If Buhari’s known ways are used as a reliable gauge, the eventual outcome here is predictable. Just like in Jonathan’s time, only a handful of the undecided should remain. My family and I already know “how” to vote in 2019. Almost everyone I come across these days seems settled on whether it would be Sai or Sege Baba. While extraordinary service delivery may change choice columns more in favour of the president, the reality is that the dawn is already here as attested by the SGF Mustapha Boss who was candid enough to tell the senate that “serious” governance has just three more months’ lifespan in this dispensation. But there is an interesting group of voters the president and his men won’t have to sweat over. They are Buhari’s voting enemies who planned to vote the president to spite those who voted him in 2015 but have now turned wailers. What a way to exact revenge!